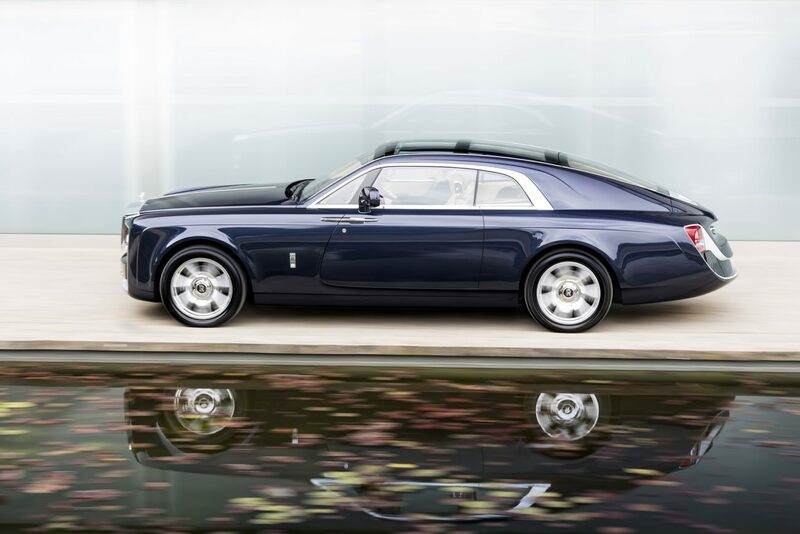 When a Rolls Royce Heritage passionate discovers the “coachbuilding” concept, he immediately calls the brand’s teams to design together a supercar that looks like him, a bespoke one that represents his own contemporary Rolls Royce dream. That’s how the Rolls Royce Sweptail is born and becomes the most expensive in the world. 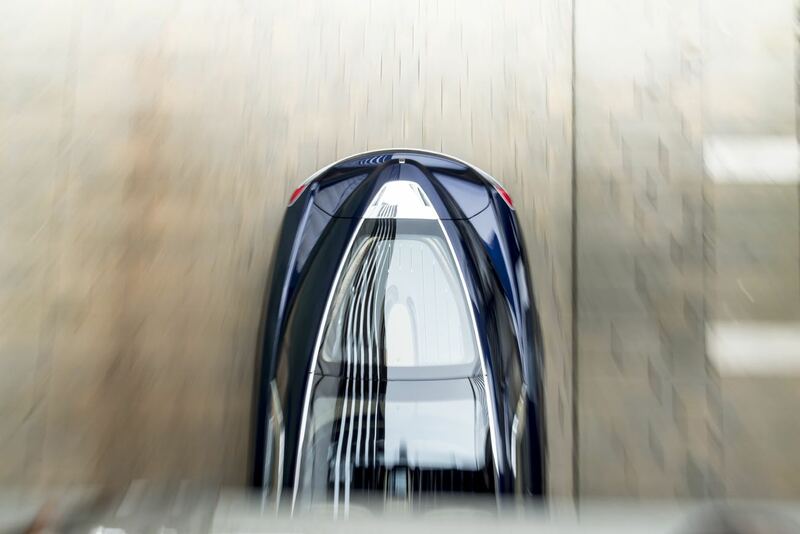 Rolls Royce coachbuilding program was recently introduced with 103EX Vision Vehicle and it offers all passionate to design their own supercar with the expert team, and a single one that only looks like them. And that’s what our Rolls Royce from the 20’s passionate did to imagine this unique two-seater coupe: Rolls Royce Sweptail. 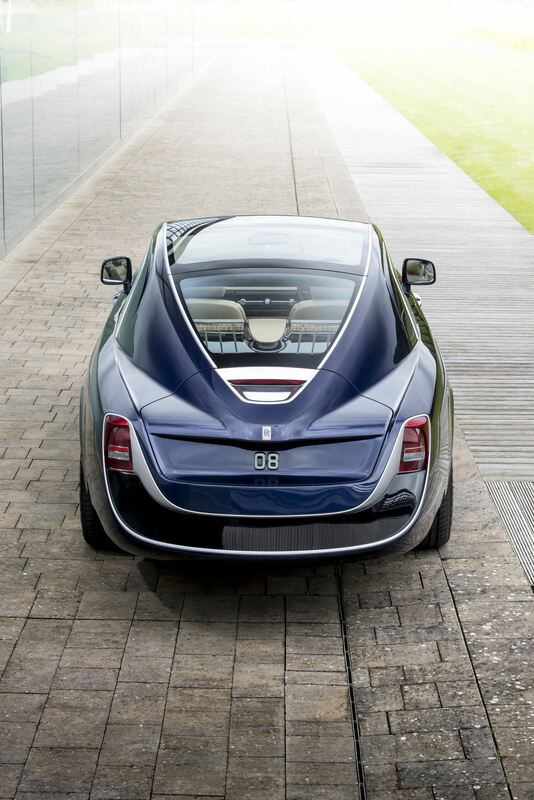 So Rolls Royce Sweptail is a true “Haute Couture” gran tourer inspired by vehicles from the 20’s and 30’s. The owner wished to add a contemporary style and has demanded a large panoramic glass roof, as well as some specifications borrowed to the biggest yachts. 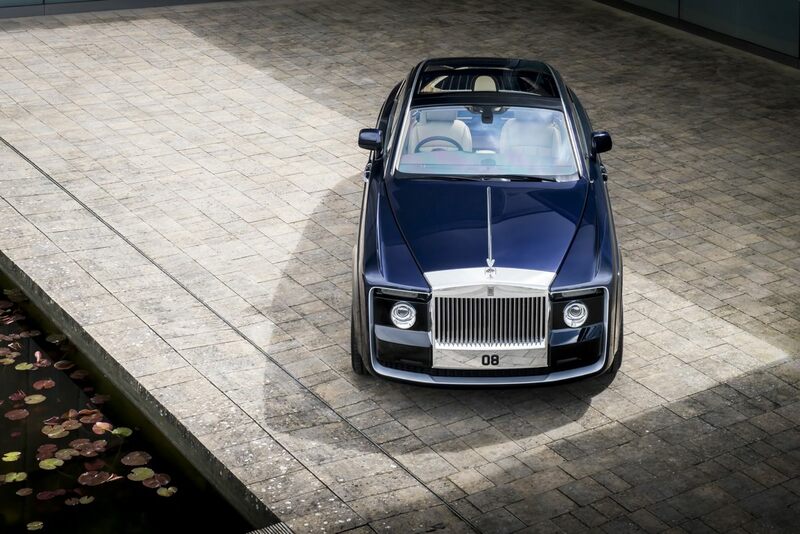 But Rolls Royce Sweptail also represents the prestigious brand’s DNA while responding to the actual owner’s desires. If the supercar seems confident with a pretty strong character, it is surely due to its new front grille, the brand’s largest, made with hand-polished aluminium with a dazzling mirror effect. 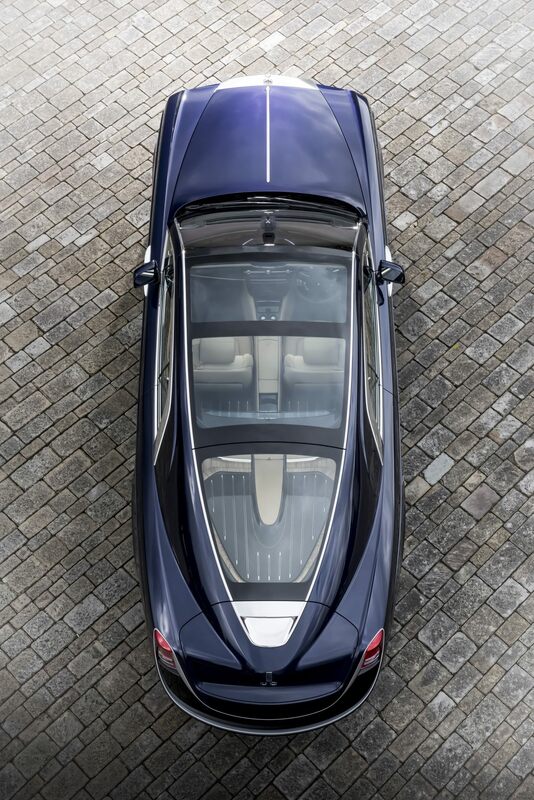 Thin but also athletic, Rolls Royce Sweptail remains elegant and slender with and its back is a true homage to racing yachts through its inclination. Finally, the identification number 08 has been added standing for the number of aluminium ingots that were moulded and polished. 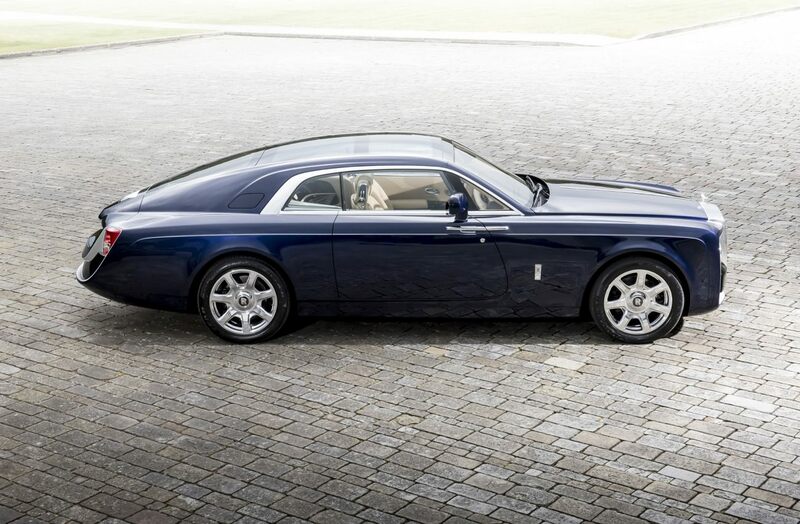 Always wanting to please its owner, Rolls Royce Sweptail was designed to flood the two passengers with light inside the cockpit that remains minimalist and modern. So there is no congestion and the different components have been reduced to the bare essential. Inside Rolls Royce Sweptail, Macassar Ebony and Paldao adorn the cabin to cleverly create a tactile and visual contrast, as well as light Mocassin and Dark Spice leather for the seats, the armrests and the top of the dashboard. 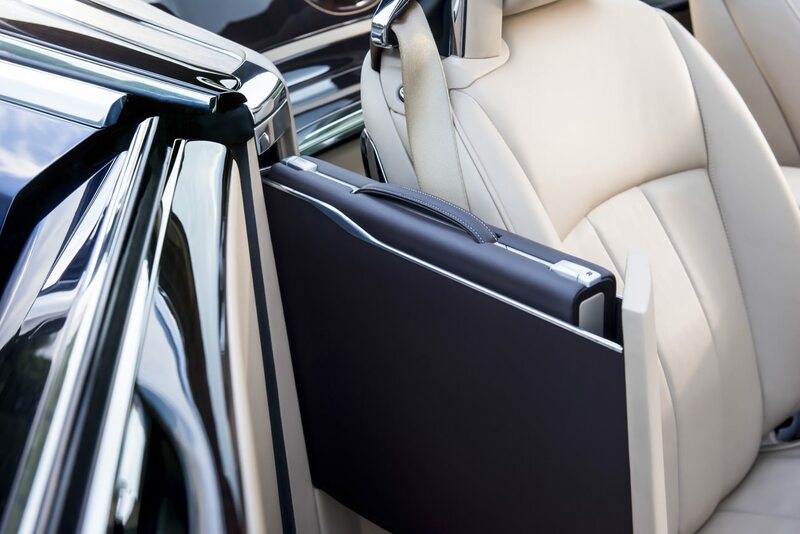 Instead of the back seats, Rolls Royce Sweptail is equipped with a large wood and glass panel that creates a mid-trunk as well as a special Passarelle that constitutes a bridge with the top of the car and harmonious volume. 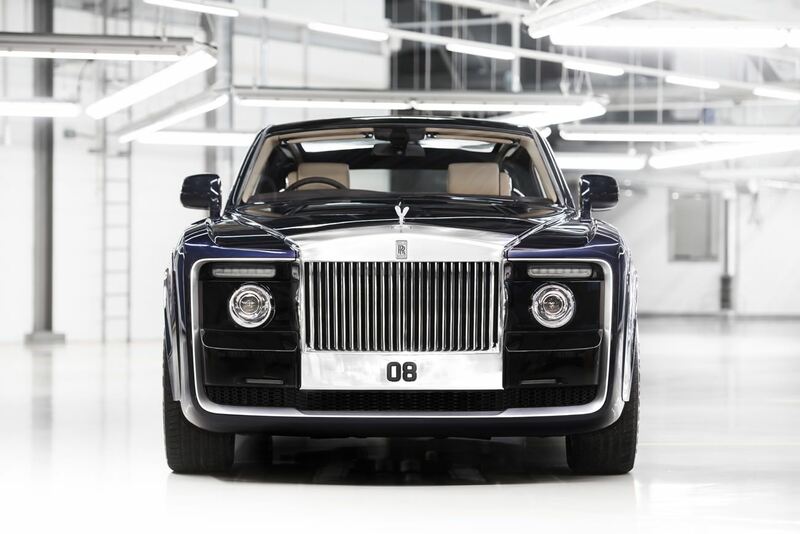 Finally, Rolls Royce was proud to add some surprises to Rolls Royce Sweptail such as unique equipment and for example two discretely hidden panels on the door side that can be deployed with a simple button to reveal two attaché-case that are also assorted to a luggage set specially designed for Rolls Royce Sweptail. 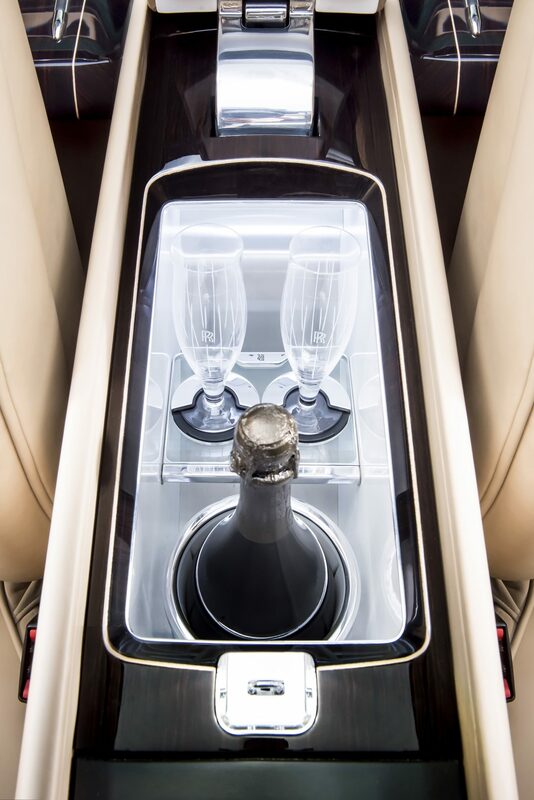 Cherry on the cake, the central console can deploy itself to reveal a great vintage of the owner’s favourite champagne with two crystal flutes. If we are pretty sure that this supercar costs almost 12 millions of dollars, Rolls Royce wish to keep its owner’s identity as a secret, as well as the motorisation specs and its future country home! Share the post "Rolls Royce Sweptail: the most expensive Rolls in the world that looks like no other"